So we all love a bit of DLC, and we adored the extras we got for Fable II, so this is some of the stuff that will be coming in the near future to download for Fable III. It was released on the day the game came out, and a handful of people managed to download it before it was pulled, but check it out. Make sure to check the link at the bottom of this post for a jump to a thread talking about the new content and also what else might be on the cards for Fable. 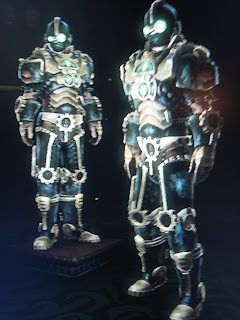 Next to the beginning here is a picture of the awesome Industrial Knight outfit which is screaming 'Hellboy' to me right now! Maybe this is a view of what the future of Fable will be? I think my hero of the moment, dressed like a Sharpe character is going to have to take a Steampunk makeover when it comes to this content coming out! "Discover a whole new town built beneath the streets of Bowerstone. This full size region contains new houses and stalls to own, new creatures to fight and a major mystery to solve. As a special bonus, you will also receive two extra quests for free: the Mercenary Shooting Range, where you can earn prizes by hitting a variety of targets, and the Wheel of Misfortune, which gives you a chance to return to Reaver's manor and participate in his insane combat arena." The Dog Costume is for sale now from the Sanctuary and so is a free weapon pack which can be downloaded for...yes...FREE. As well as the above content, the pre-order bonus outfits (The Scottish Clansman outfits) and the new dog potion for the boxer dog, as well as a new weapon will be downloadable too at a later date. Personally I can't wait to try it out and enjoy the new content! 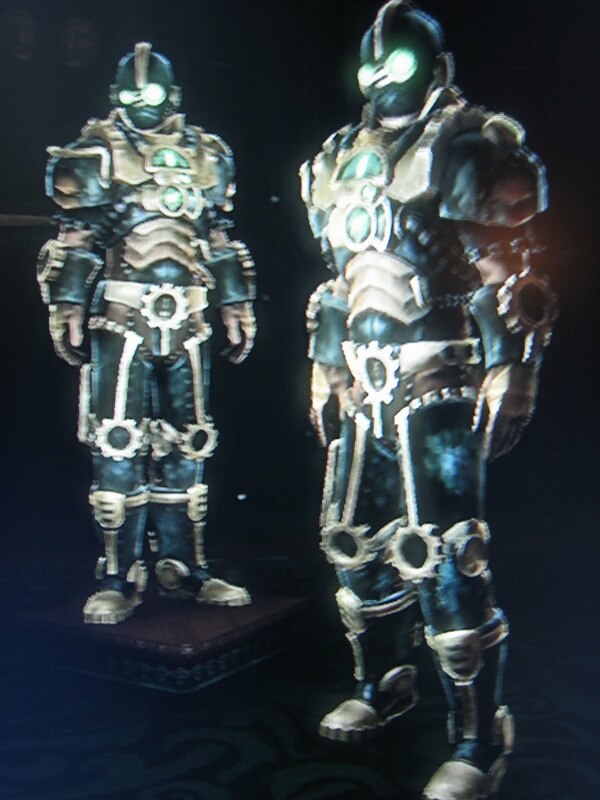 If you want to see more pictures then check out this ace thread on the Fable III forums. There is a new hair style pack coming out, and clothes I would assume would be soon too. ...i have to pay to dye my clothes black?